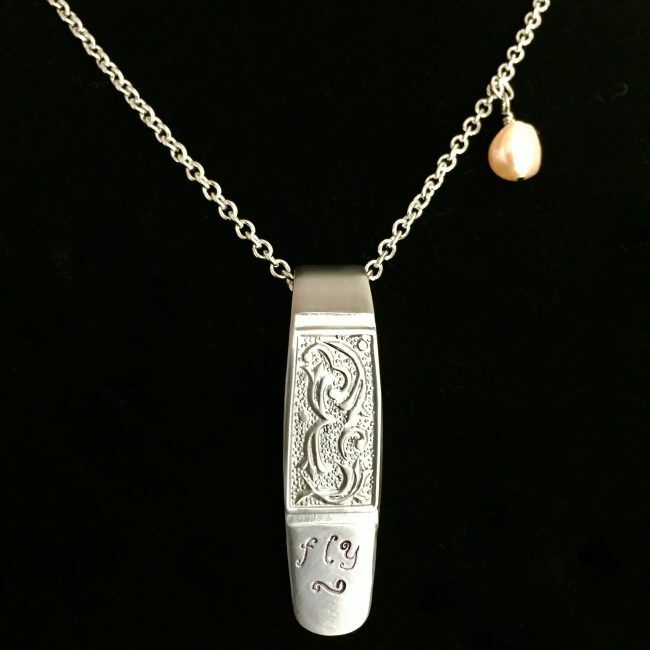 Carefully crafted and hand-stamped this elegant aerial inspired ‘fly’ necklace is adorned with a hand-wrapped freshwater pearl and fitted to 20 inches of heavy duty chain. Pendant measures 1 5/8 inches. Fitted to 20 inches of chain.